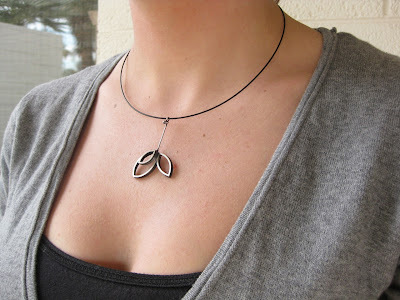 With the prices of silver soaring, I have been looking for different ways to wear my pieces without silver chain. Here is the "leaves" pendant all beautiful and finished and hanging on a very simple black steel, magnetic neckwire. So easy. So awesome.